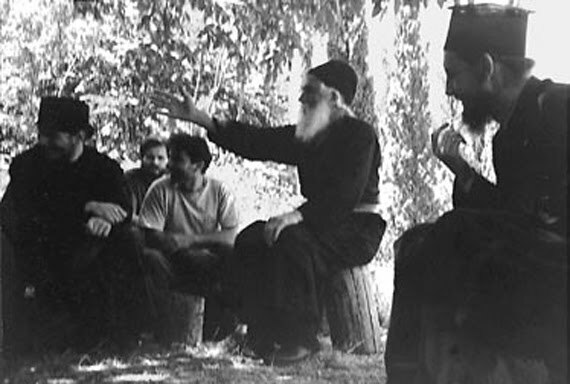 Home / PATRISTIC TEXTS, WORKS & TEACHINGS / SAINT PAISIOS: How can someone be helped to not fall into the same fault? -Elder, how can someone be helped to not fall into the same fault? -If one truly feels pain for his fault, he will not do it again. There must be an inner contrition with sincere repentance in order for a person to be corrected. This is why Saint Mark the Ascetic says, If one does not feel contrition commensurate to his fault, he will easily fall into the same fault again. In other words, if the mistake is minor,the repentance can also be less severe, but if the mistake is major, then more severe repentance will be required. When people do not grasp the severity of their sins and do not experience grief commensurate to their fault, then they can easily fall into the same or even greater fault. -How can we know if our grief is not commensurate to our fault? analysing and diagnosing if you don’t try to correct yourselves? render your mind and your heart useless. You get sick from grief over it but do nothing to treat it. careful next time you’re faced with a similar situation. careless and will again fall into the same mistake; you will not correct yourself. means that you have grieved more than you should have. In this case, one needs to give himself a little encouragement and face his faults with a little “positive indifference”. Previous: Why Won’t the West Defend Middle Eastern Christians?